1.Dry roast pasi paruppu in a kadai till nice aroma comes and becomes golden. 2.Powder sugar along with cardamom powder and pasiparuppu separately and keep ready. 3.Heat ghee,fry cashews and keep ready.Take a vessel and put pasiparuppu powder and sugar powder,mix them well. 4.Add all cashew nuts and pour ghee little by little. 5.Mix and add ghee till it becomes crumbly. 6.When you hold the dough you should be able to make ball. 7.Make ball when still warm. Dry roast pasi paruppu in a kadai till nice aroma comes and becomes golden. Powder sugar along with cardamom powder and pasiparuppu separately and keep ready. Heat ghee ,fry cashews and keep ready. Take a vessel and put pasiparuppu powder and sugar powder,mix them well. Add all cashew nuts and pour ghee little by little. Mix and add ghee till it becomes crumbly. When you hold the dough you should be able to make ball. Make ball when still warm. Making shapes should be done when still warm ,when it cools we will not be able to form balls. I have combined cardamom powder in sugar to get a smooth powder. Dry roasting pasi paruppu is crucial thing for this urundai. Love these traditional laddus!! Yummy!! 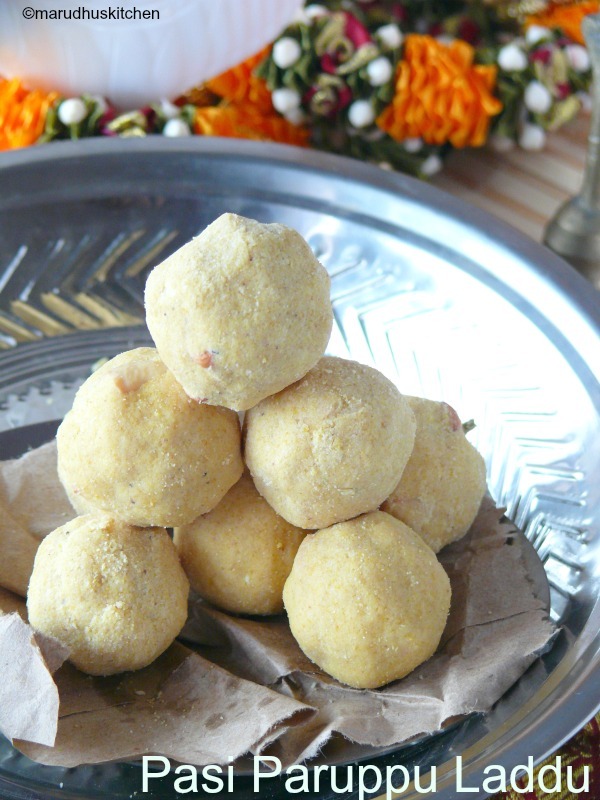 My granny used to make these ladoos during winter, your version sounds tasty Vani. Lovely share. Very healthy and delicious…awesome share Vani! !